It’s alive. 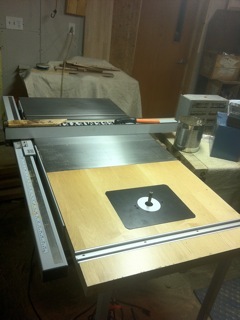 Just finished up the new router table extension to my table saw. This baby’s got it all. I mounted a dewalt plunge router to the plate for easy adjusting. I’ll probably replace that with a standard porter cable router once I get a nice lift. This addition to the table saw will allow the fence to perform double duty for both the saw and the router.